"Angelus Edge Finish Angelus Easy Cleaner Angelus Blue Foam Cleaner angelus instant cleaner "
Angelus Edge Leather Finish is a durable high gloss finish. No buffing required. Water-based for easy clean up. No fire danger. Ideal for edging belts, saddles, and holsters. Using a sponge, brush, foam applicator apply Angelus leather edge finish to edge. Allow extra drying time when applied in humid weather. I applying over other finish, make sure article is completely dry before application. and may be use as a surface coating. It gives a water resistant, durable and flexible finish. 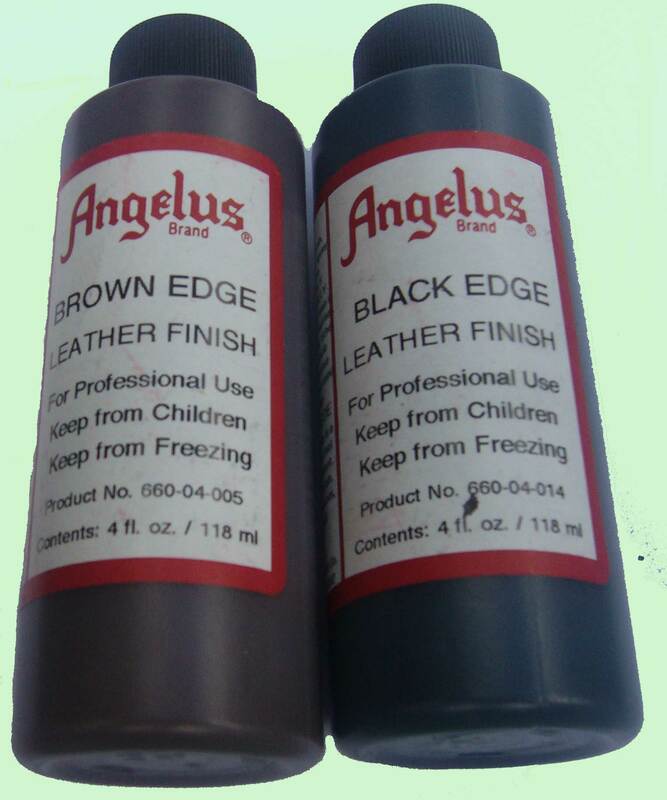 Angelus Edge Finisher is good for the edges of belts, saddles, bags etc. Angelus Edge Finisher provides a wax, hard edge finish.